Raya Abstract Silver/ White Area Rug (7'6" X 9'6") - 7'6"x9'6"
Soft to the touch and alluring with a distinctive high-low texture, this chenille area rug lends the perfect accent to bedrooms. The sleek silver and white colorway makes a luxurious statement, while the bark-inspired pattern presents a chic natural element to modern spaces. 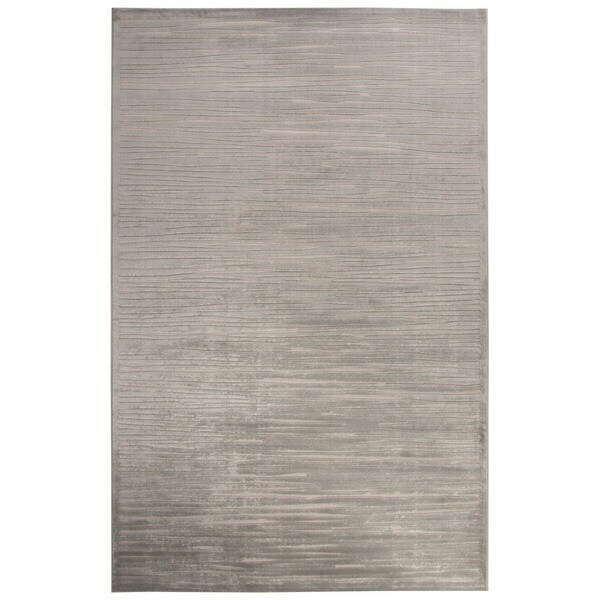 Hand-woven Prince Red Felted Wool Rug (5'0 x 7'6) - 5' x 7'6"
Raya Abstract White Area Rug (9' X 12') - 8'10"x11'9"